Part of the adjustment a parent must make when told their child has Down syndrome is getting used to all of the therapists. These therapists are well intentioned individuals that have various types of specialized training; they are supposed to be able to help your child’s development. I always understood that they were there to help but I was not sure how they would do it. I mean, Treyton was just a little baby and, just like other babies, all he did was sleep, eat, and poop. I eventually just accepted the fact that there was a service available that was meant to help my son even though I was not sure how it was going to work. My wife and I did welcome the physical, occupational, and speech therapists into our home. I don’t want to give the impression that it was a bad experience that was not the case. Overall our experience was a good one but believe that just a more explanation could have made it a lot less frustrating for us. 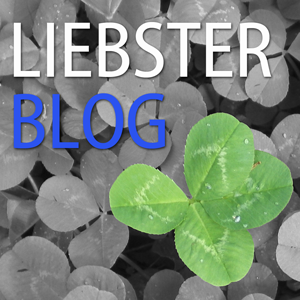 Recently I discovered a few of those things I wish I would have known and think may help other dads of kids with Down syndrome during the early stages of speech therapy. Treyton is very proficient at communicating with signs and body language but we are ready for him to begin using speech as his primary form of communication. Over the last couple of weeks Treyton has surprised us a number of times by answering questions with spoken words instead of signs. When he does this it catches you off guard so you ask those around you, “Did you just hear that? Did Treyton just say that?” These are exciting events at our house and have created a greater sense of urgency to help the little man talk. Given that my wife does not work outside of the home a lot of the additional instruction and therapy that Treyton needs falls on her shoulders. As we were talking the other night about Treyton’s speech challenges I sensed that she felt an extra amount of weight on her shoulders. Leigh Ann’s degree is in early childhood education so I have tended to follow her lead but it obvious to me that I could be doing more. 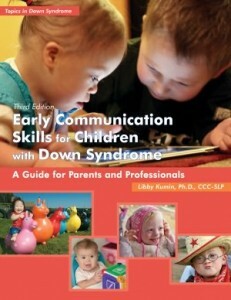 I started to research some of the things we had been discussing and discovered a book called Early Communication Skills for Children with Down Syndrome by Libby Kumin so I ordered it. I was a little bummed when it arrived because it is a textbook and at first glance looked really boring! I am now up to chapter four and have already learned a lot. The music of Rod Stewart is not the type I would normally admit to being familiar with but there is a lyric to one of his songs that kept popping into my mind as I studied the first few chapters of this book. It goes, “I wish that I knew what I know now when I was younger.” I read several things about the benefits of early speech therapy that I wish I would have known when Treyton was first born. I believe we did what was best for him but having a better understanding of this stage in speech therapy sure would have made things a lot less frustrating and at times less stressful. 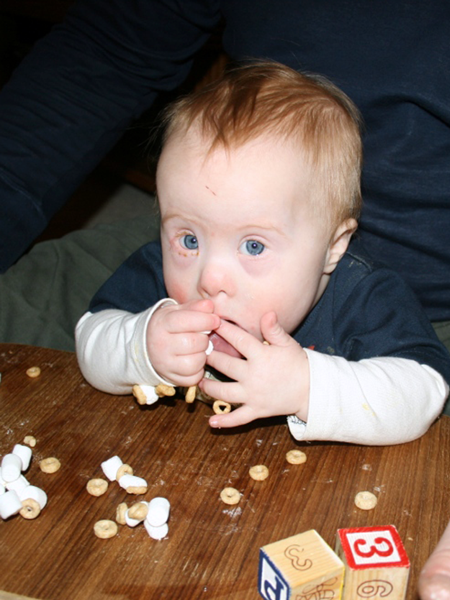 If you are a parent to a child with Down syndrome you already know that there are a lot of different issues that can accompany the extra copy of the 21st chromosome. Things like low muscle tone, the relative small size of the mouth compared to the tongue, and over or under sensitivity to touch. All of these things can affect speech development in a child but what seems even more critical is the anatomy of the ear. Kids with Down syndrome tend to have very small ear canals that trap fluid making infections and impaired hearing common among this portion of the population. Speech and Language Pathologists are trained to help parents through these issues. Make sure to pay close attention to your baby’s ability or inability to hear, it is crucial for speech development. As we met with our therapists (I always try to be at as many of these meetings as possible) I found myself continually asking the question, “But why? Why do you want Treyton to do that?” My background is in business and if one of my customers were to ask that question I would know there was an issue. SIDE NOTE: it is my opinion that educators do not spend enough time in the “real-world” and need to be subject to the same types of expectations to which we as business owners are held. My lack of understanding was certainly frustrating to me but more importantly could have impacted the level of effort I put forth in working with Treyton. I don’t think it did but that risk is present in this situation. What I learned recently is that the early speech therapy is focused on the “precursors to speech.” These are things like making eye contact (reciprocal gaze) and looking at objects together (referential gaze). Precursors include various auditory skills as well as something as simple as learning to take turns. As I read that I remember thinking, “seriously?” If you think about it, having a conversation with another person is constant turn-taking; one person speaks and the other listens then the roles change. Trust me, there were a lot of things the therapists worked with Treyton on and also had us work with him on that would have made a lot more sense if they had taken the time to explain the importance of speech precursors. Even before therapists can help a child work on the precursors to speech they are observing and evaluating how the baby eats, swallows, and breathes. The systems used for speech are the same systems required for these activities. There you have it. That is why you have a speech therapist so early in the child’s development. A lot of the early focus is on eating because of the connection with the muscles used. I remember the therapist asking questions about Treyton liking different types of food and how he handled them. Now I know she was really judging what type of oral sensitivity he had as well as possibly his muscle development. Along with the therapy that was available through our early-on program we sought out additional ways to help Treyton develop. As we played with Treyton we were conscious about naming things, talking about colors, making animal sounds, etc. The way we play with Treyton is a lot more intentional that it ever was with our other children. We also started using sign language with him from about the time he was 3-months old. It is awesome and I would encourage any parent regardless of Down syndrome or not to use signs. Kids want to communicate long before they are able to speak. 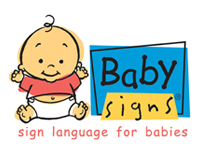 We started with Baby Signs® but also used resources from Baby Signing Times and on occasion incorporated some American Sign Language. However, Treyton is a true maverick – you cannot contain him with any given set of signs! Treyton’s signs tend to evolve and change over time. Consider the sign for “dog.” We taught Treyton to pat his leg as a sign for dog. There were times when he did just that but at other times he had to make small adjustments because he may have had something on his lap or maybe we were holding him and he could not pat his leg. As a result, he patted his arm or chest or whatever he could. Eventually he moved to patting his chest all the time. There are other signs that, for no apparent reason to us, Treyton has either combined, shortened or changed. Our family is fairly flexible and this evolution of signs actually fits right in to how we operate. The challenge comes when he is in the care of other people. Some of his signs are fairly unique so we need to do our best to inform teachers and baby sitters about his signs. 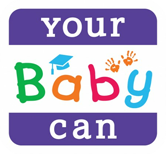 Along with our sign language efforts we also used the Your Baby Can Read® program. When we started this I felt like it would detract from the signing we were trying to encourage but I am now glad that Leigh Ann was so diligent in her efforts. The program has a series of DVDs the child watches daily. They are short videos and the child watches the same video each day for a month. Through this program Treyton has learned to read about 200 sight words. When Treyton first started to read there were some people that doubted his abilities until we showed them that he could read the words from the supplied flashcards or a chalkboard or even Scrabble tiles. It really is impressive. Unfortunately I just discovered that they closed the doors on the company that makes this program. Leigh Ann did a little research and it looks like it has to do with legal pressure surrounding the issue of kids sitting in from of televisions. I know that too much TV is an issue for a lot of kids but the program does work. At a minimum it was proof to us and anyone that knows Treyton that kids with Down syndrome are smart kids and can learn when given the chance. Another resource we used for Treyton was The Center for Childhood Development – an assessment and treatment center located near us in West Michigan. There the therapist introduced Treyton and us to something called TalkTools®. This program involves using things like whistles, straws, and blowing bubbles to strengthen the necessary muscles for effective speech. She also started using physical prompts to help Treyton feel where to place his tongue or shape his lips to make specific sounds. I am not going to go in depth on this program now but I do think it is helpful and will continue to encourage his current therapist to use this program. We are excited about Treyton’s resent advances in speech and cannot wait until it is a regular part of life. He is an amazing kid and we are going to do whatever it takes to make sure he has the tools and opportunities to succeed in all areas of life. As parents, we have an important role to play in the educational process. We have a lot to learn about Down syndrome as well as special education in general and we will continue to study and learn as much as we can. What is very clear, though, is that we are Treyton’s strongest advocates. His teachers and therapists, those caring individuals that have dedicated their lives to helping kids with intellectual disabilities, do want to help Treyton. However, they are part of a system that can limit what they are able to do or may even over load them. Our job is to recognize these situations and do what it takes to fill the gaps.